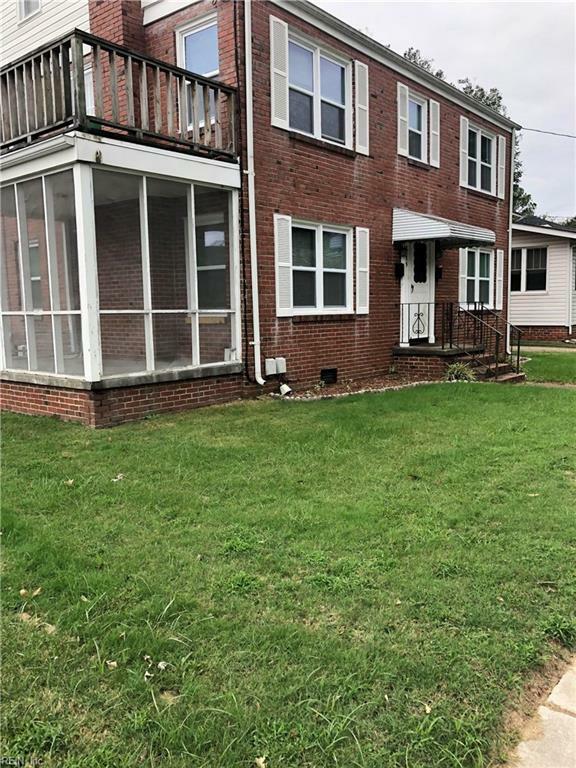 3655 Buckingham St, Norfolk, VA 23513 (#10227935) :: Abbitt Realty Co.
Large brick home on a corner lot that has been converted into an over/under duplex. Downstairs unit has 2 bedrooms and 1 bath with a spacious living room and kitchen. Upstairs unit has 3 bedrooms and one bathroom with a possibility of a 4th bedroom or can be used as a second living room space or playroom. This is a great investment property or perfect for a large family to convert back to a single family home. It is on a large corner lot with a detached garage. This house is sold "as is where is". No repairs will be done.